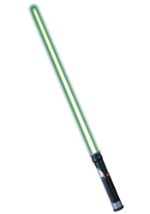 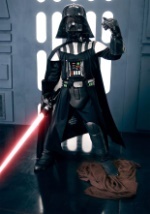 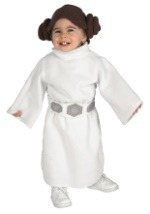 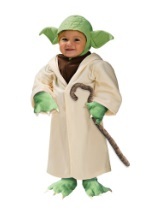 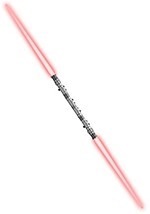 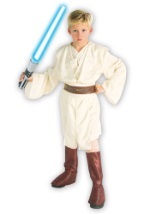 Transform into the great Anakin Skywalker in this officially licensed Star Wars costume. 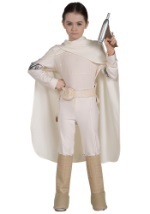 This deluxe Anakin Skywalker costume includes a tunic with long vinyl sashes attached at the shoulders, pants with attached vinyl boot tops, a polyester waist sash, and a 3D rubber belt that has velcro in the back. 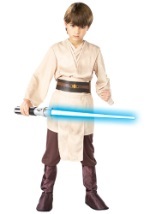 Don't forget to add a lightsaber to complete this great outfit!